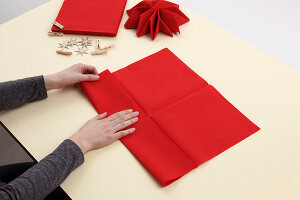 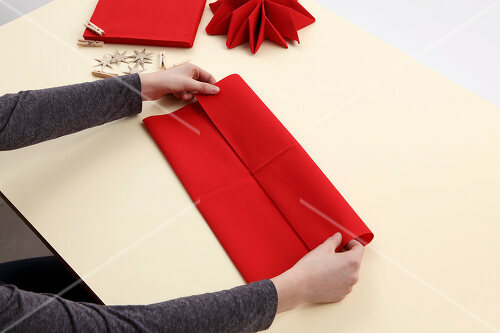 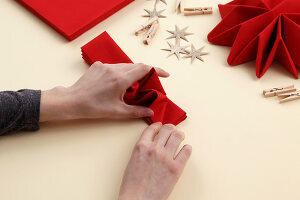 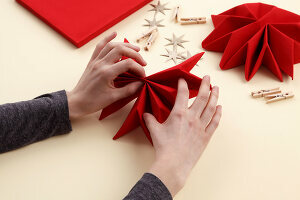 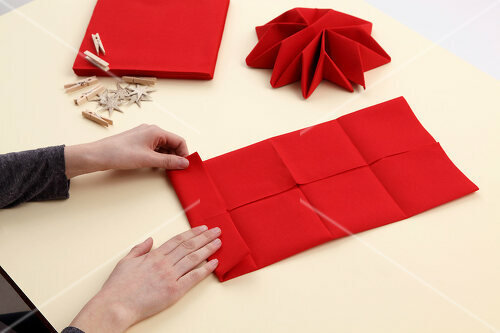 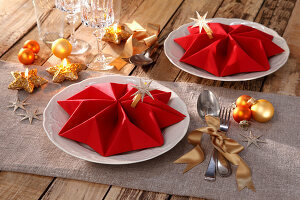 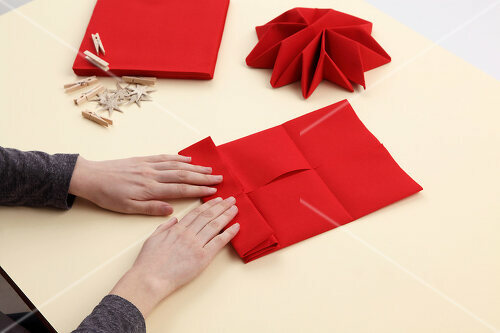 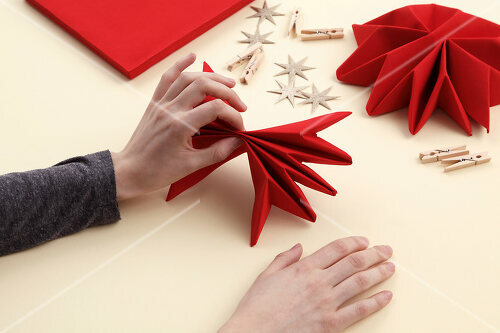 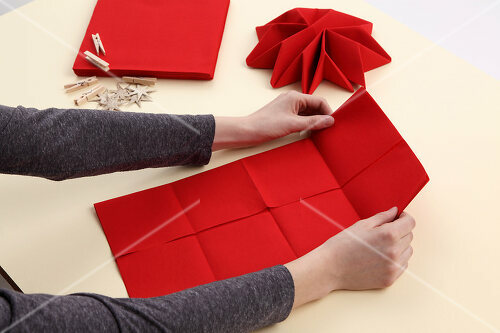 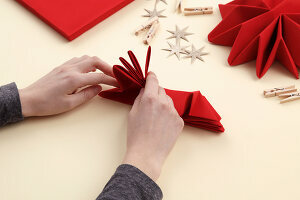 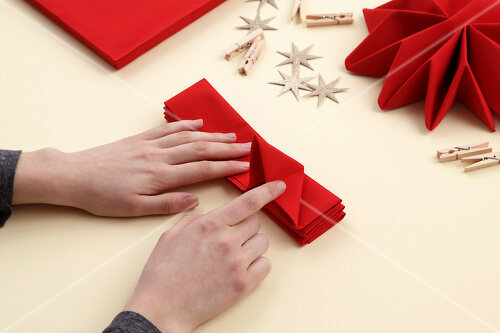 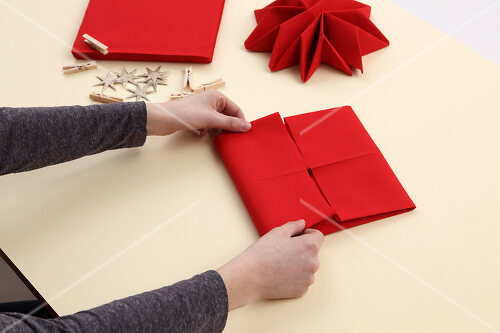 Make every meal more festive looking, not just at Christmas time, with these easy to follow instructions for folding a napkin into the form of a complex looking star. 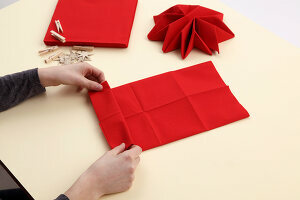 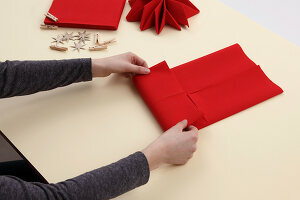 It's just like folding origami paper, only on a larger scale. 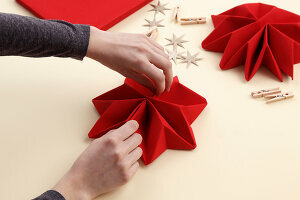 The result is spectacular.